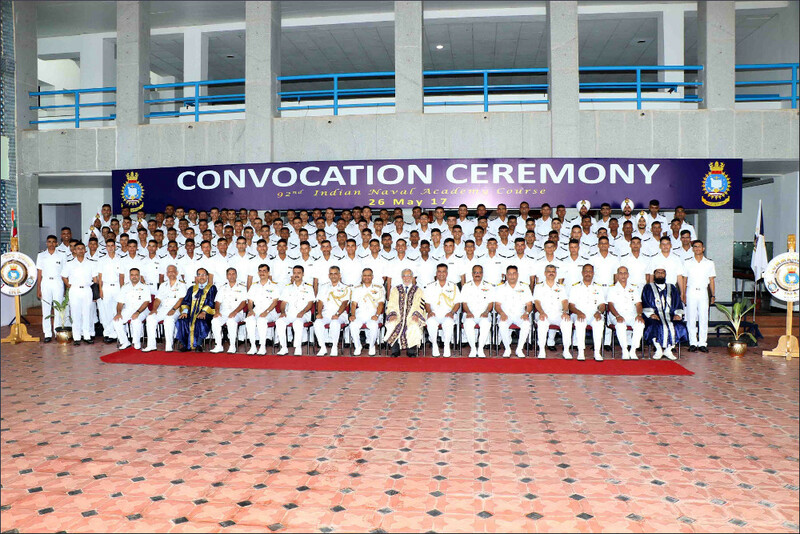 The morning of 26 th May 2017 was a historic day for the cadets of 92nd Indian Naval Academy Course. On this day 127 cadets were awarded B.Tech degree by the Chief Guest Prof. Anil D Sahasrabudhe, Chairman, All India Council for Technical Education (AICTE), New Delhi, at the Convocation Ceremony held at INA in presence of their proud parents and guardians. 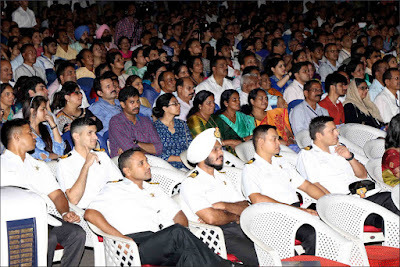 Vice Admiral SV Bhokare, AVSM, YSM, NM, Commandant, INA and Rear Admiral Amit Vikram, Principal, INA also graced the occasion. 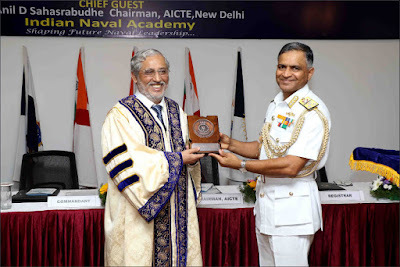 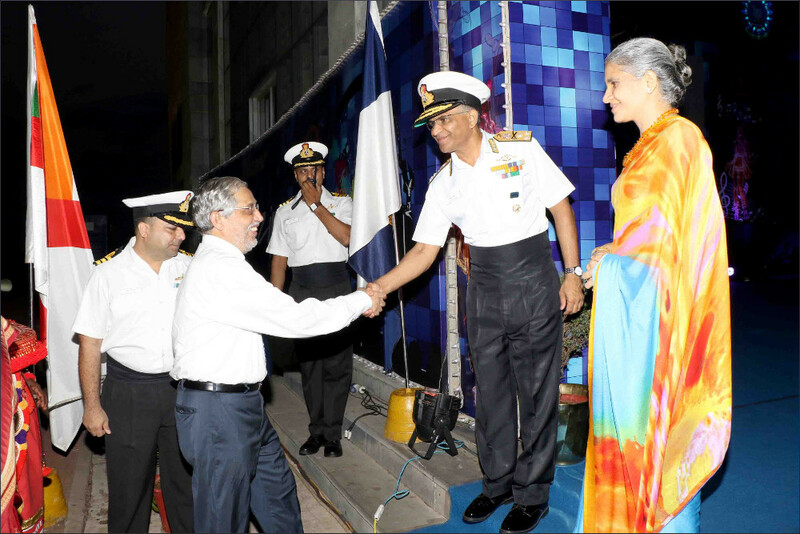 The ceremony marked the culmination of an arduous four year training regimen, wherein the AICTE accredited B.Tech degree which is run simultaneously with a demanding curriculum of Navy specific subjects and an intensive outdoor training curriculum. 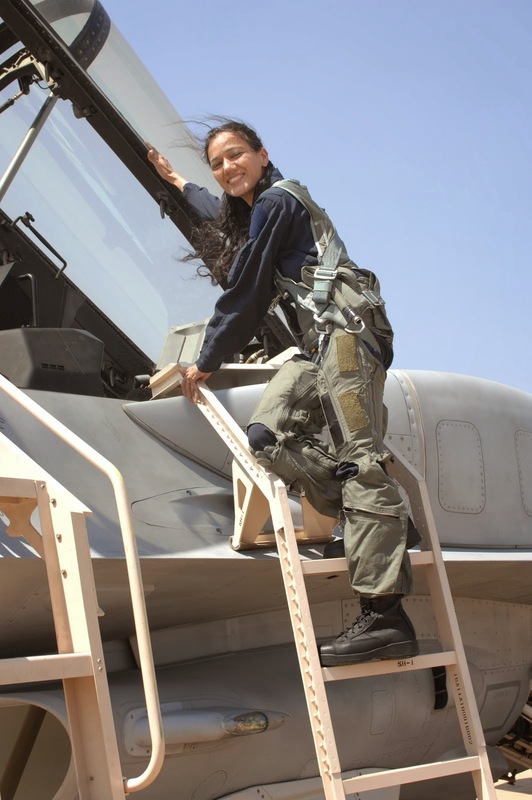 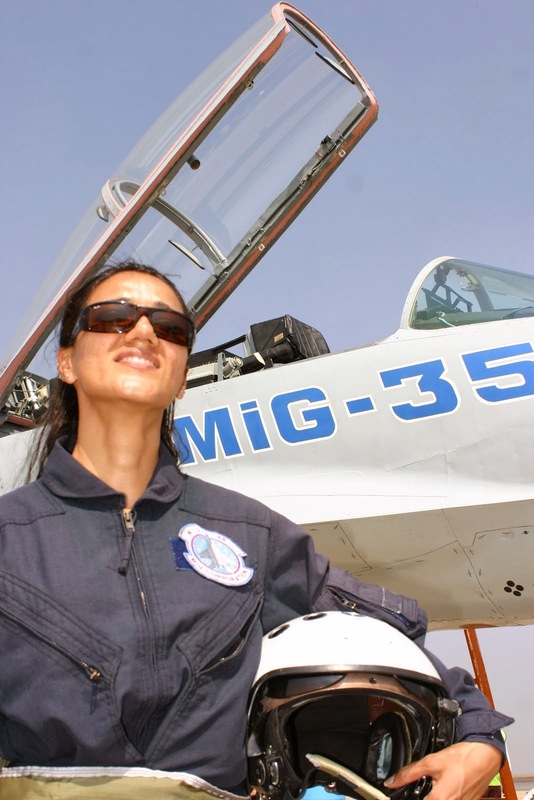 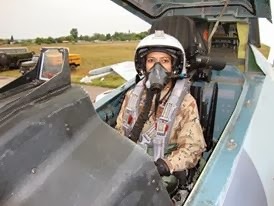 The graduating cadets acquired their B.Tech degree in one of the three streams viz., Applied Electronics and Communication Engineering (AEC), Electronics andCommunication Engineering (ECE) or Mechanical Engineering (ME), under the aegis of Jawaharlal Nehru University, New Delhi. 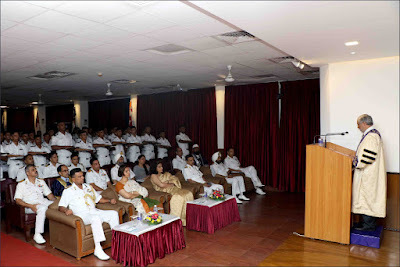 Prof. Anil D Sahasrabudhe, Chairman, All India Council for Technical Education (AICTE), New Delhi in his convocation speech congratulated the graduating cadets, their parents as well as their Instructors at INA. 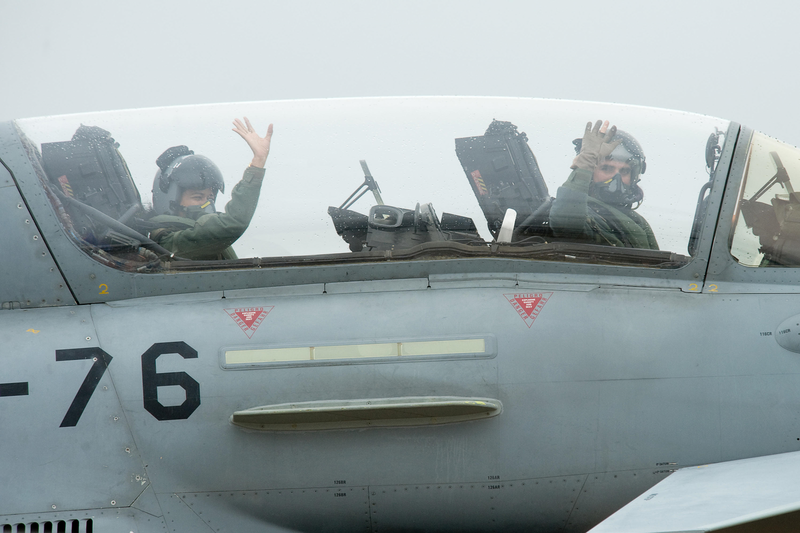 He advices the graduating cadets to strive continuously to vanquish all impossibilities and achieve success. 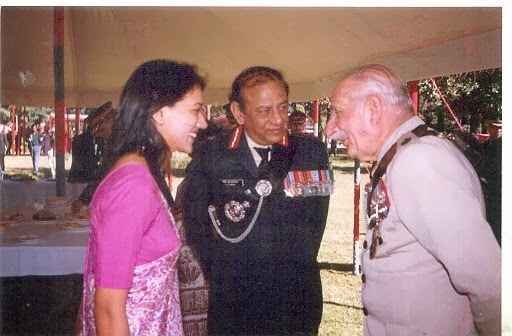 The Chief Guest awarded trophies to meritorious cadets. 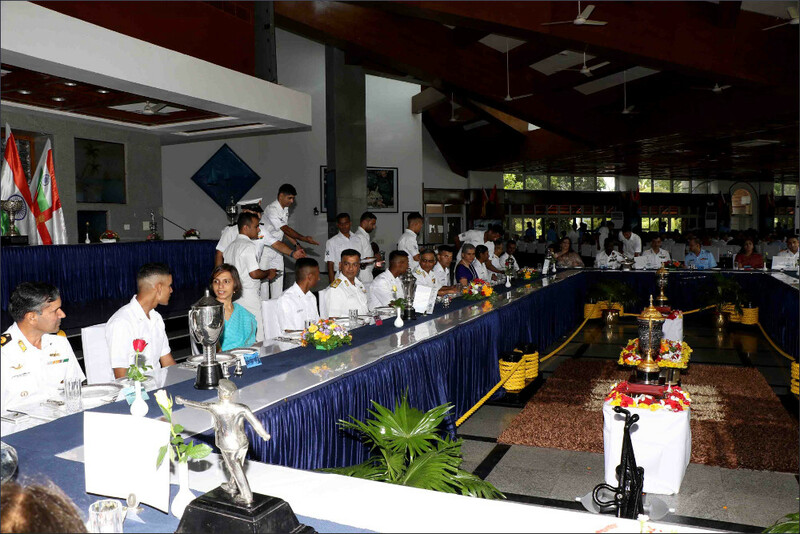 The ‘Chief of the Naval Staff Rolling Trophy’ for the cadet adjudged best in AEC stream was awarded to Midshipman J Bharat Shankar. 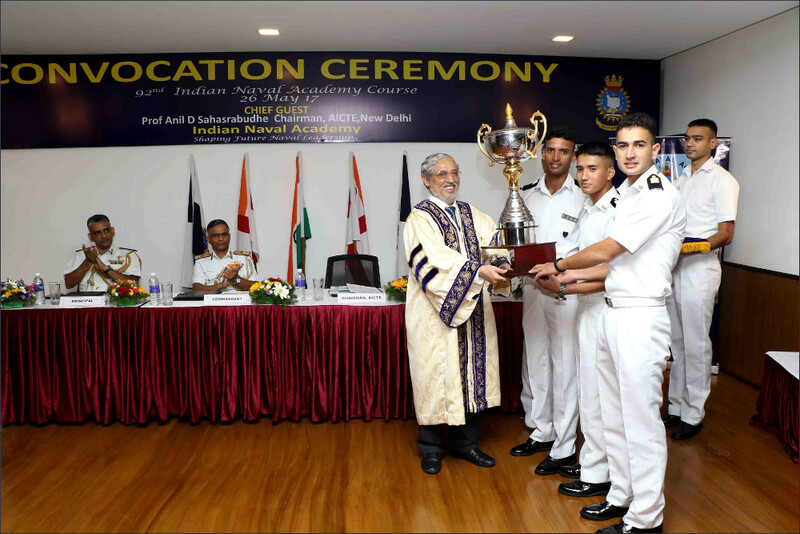 The ‘Chief of the Naval Staff Rolling Trophy’, for the cadet adjudged best in ECE stream was awarded to Midshipman Akshay Sarveswaran. 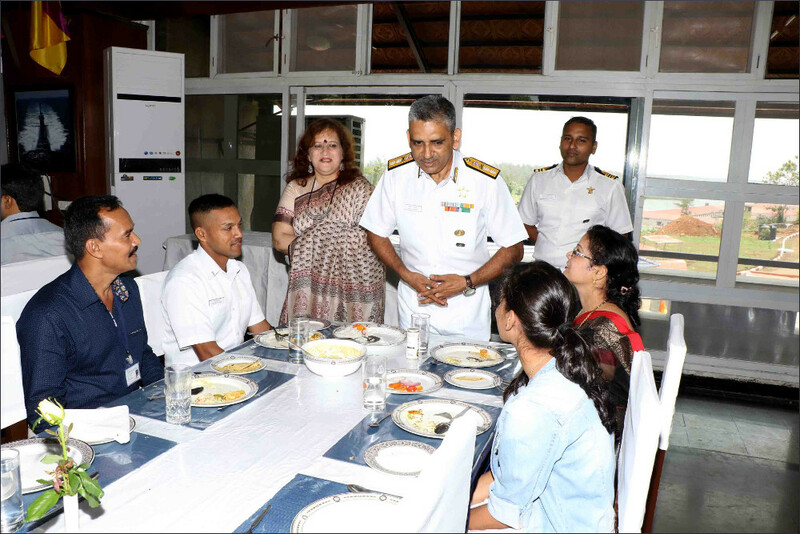 The ‘Chief of the Naval Staff Rolling Trophy’, for the cadet adjudged best in ME stream was awarded to Midshipman V Manoj. ‘Azimuth’ a variety entertainment program by the cadets of INA was organised at Indian Naval Academy today, on 25 May 2017. The Guest of Honour for the event was Prof. Anil D Sahasrabudhe, Chairman, All India Council for Technical Education (AICTE), New Delhi. 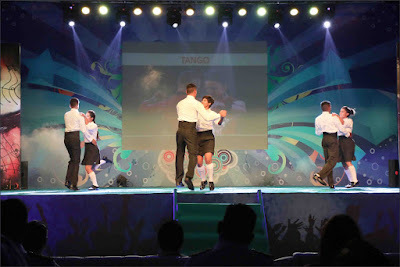 The cadets of INA, whilst fulfilling the strenuous academic requirements of B.Tech Curriculum and rigorous physical standards enthralled the audience with a string of highly entertaining programmes involving music, dance and skit. 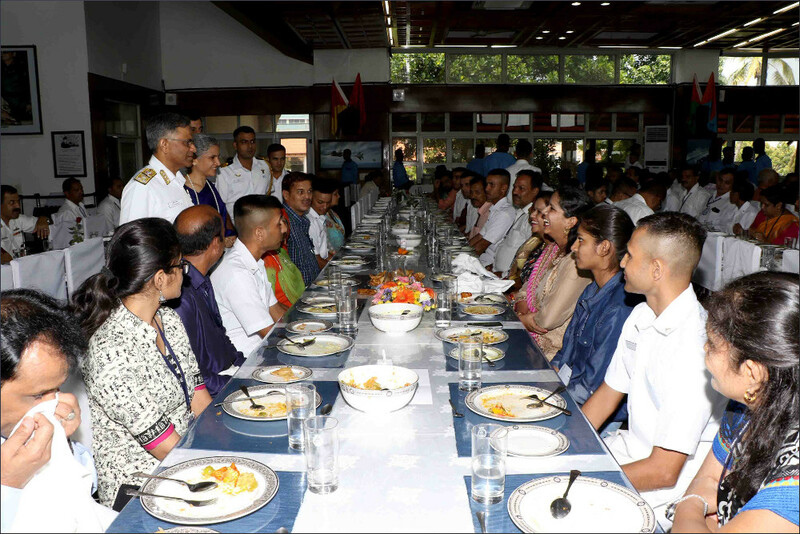 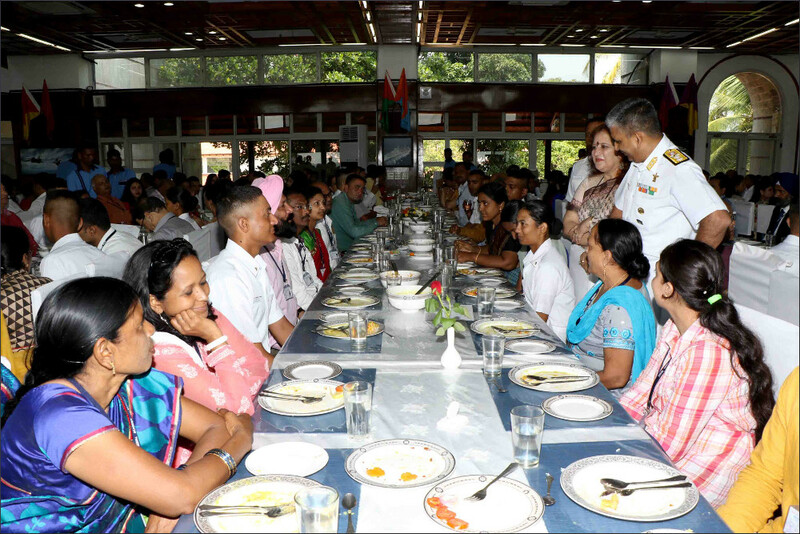 A valedictory lunch in honour of the cadets of 23rd Naval Orientation Course (Extended) and 24th Naval Orientation Cadets (Regular) passing out courses and their proud parents, was organised at Katari Cadets’ Mess, Indian Naval Academy (INA), on 25 May 2017.